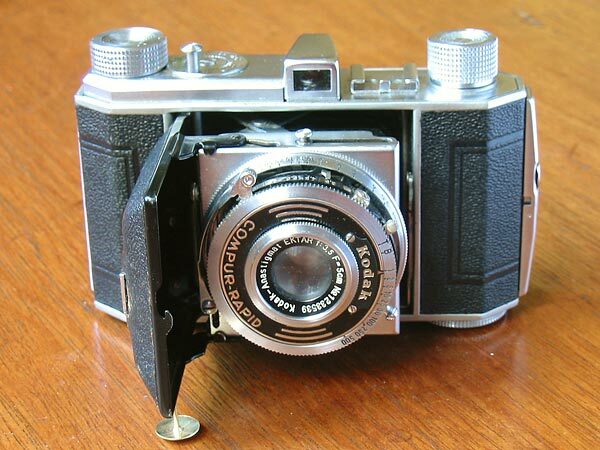 Manufactured from 1937 to 1939, this model was the first Retina I with the shutter release on the top plate. The type 141 Retina I was available with either an f/3.5 5cm. Kodak-Anastigmat Ektar, a Retina-Xenar, or a Zeiss Tessar lens. The shutter fitted was either a Compur or a Compur-Rapid. Retina I type 141 instruction manual on Mike Butkus' excellent website.